Data shows that employees, particularly Millennials, want regular ongoing feedback. Cumbersome, time-consuming processes don’t pay off. Everyone has a right to know how they are doing, in real time. Our work is increasingly about team performance and collaboration. Organizations with feedback-rich cultures build stronger relationships and foster deeper levels of trust, which has a direct impact on the bottom line. So while this is the time of year that many companies wrap up time-intensive annual performance management processes, it can also be the time of year where we put old traditions to rest. There are several compelling reasons employers should use the beginning of the year to rethink their approach to performance management. For employees, the best feedback, is feedback that is given in-the-moment. This ensures team members have an opportunity to act on what they learn. It also ensures that companies are meeting their team member’s natural desire to learn and grow. A new report from Gallup found that just 15 percent of employees are engaged in the workplace. That means 85 percent aren’t bringing their best ideas or their full selves to the workplace. One way to turn things around, and reverse the low employee engagement trend, is to ensure there are regular opportunities for growth and development. When employees have access to on-the-job coaching, their more likely to believe their employer is committed to their success. They’re also more likely to perform at a higher level. This is true in sports, and it’s also true in the workplace. If you played sports, an instrument or were involved in the arts, you likely received regular, timely feedback from your coach or instructor. Chances are, input on your performance was offered in the moment, and it was offered frequently. For instance, during each practice and during and after each game, likely on the field, you received input that positioned you and your teammates for success. If you were placing your fingers incorrectly on the piano, or striking the wrong chords on your guitar, and your instructor waited until the end of the year to share observations and feedback, the music at your upcoming performance would be off-key and unpleasant to listeners. Instead of a harmonious performance, perhaps the audience would experience chaos. What if your feet were in the wrong position as you did a plie? If everyone in the dance company didn’t receive tweaks to their position, the dance performance would be out of synch and a disaster. Dancers might even injure themselves or others. In sports, in music and in the arts, feedback is real-time and a regular, consistent part of engagement. This ensures teams and performers excel. It shouldn’t come as a surprise that those committed to their craft are eager for ways to improve. For employers, rethinking performance management is critical. When it comes to service delivery and achieving an organizational mission, the buck starts and stops with teams, and teams are no stronger than the people who comprise them. When teams aren’t prepared, because they’re not receiving coaching and input from colleagues and senior leaders, they become discouraged and may disengage. They’ll show up, but they won’t show up with innovative ideas nor will they take appropriate risks that could allow the company to be or to remain on the cutting edge. In essence, a company’s bottom line is impacted when the people who make up teams withdraw from their jobs or remain stagnant in them. Further, businesses must often be nimble and adaptable. While there is a north star in terms of an overarching vision, changes in the market or the world around us could force the company to rethink a product launch, a new initiative, or a company announcement. Regular feedback ensures teams are able to shift when necessary. Additionally, most innovative companies include regular opportunities to receive input from their customers. Each time you call Verizon Wireless, you likely receive an automatic call-back from the customer service team asking you to participate in a survey. The survey measures your experience with the company. What you share is then shared with manager and conceivably, the person who took your call. 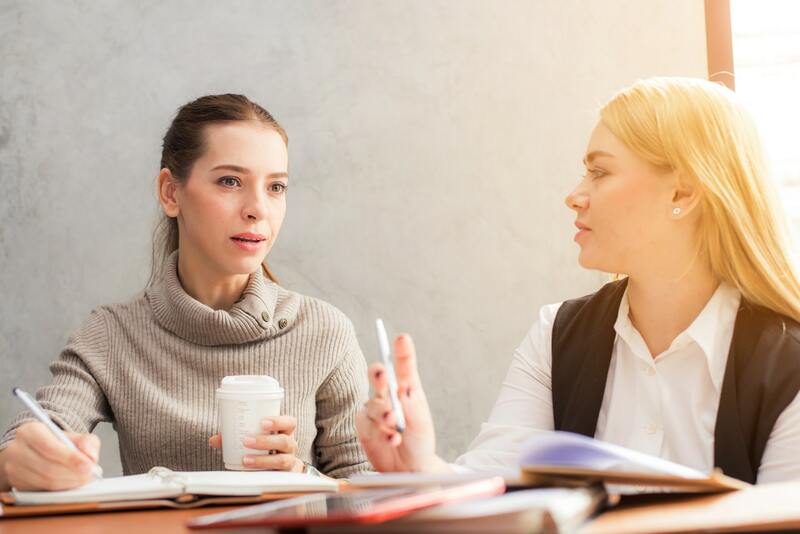 This sort of in-the-moment feedback, when experiences with the company are fresh, provide direct guidance that not only helps the employee improve, but helps the company retain you as a customer. There’s another incentive for employers to offer more regular input on an employee’s performance. For employers seeking to engage millennials and Gen Z’s, it’s imperative that employers ensure opportunities for professional development. Professional development entails workshops and conferences, but it also includes coaching. When determining whether to accept a job or remain with their current employer, studies show millennials and younger workers evaluate whether there are opportunities for professional development. For these workers, salary matters, but growth matters too. If companies aren’t investing in a robust performance management system, they can all but kiss their engagement with younger workers goodbye. Cultures that foster feedback and support growth and development are key to attracting talent in 2018 and beyond. At some point, employers have to identify what’s getting in the way of providing regular, continuous feedback. The first step however is being clear on its benefits to the company and the team member alike. So while a team member may have a growing edge, everyone–the company and the employee alike–benefits from feedback.